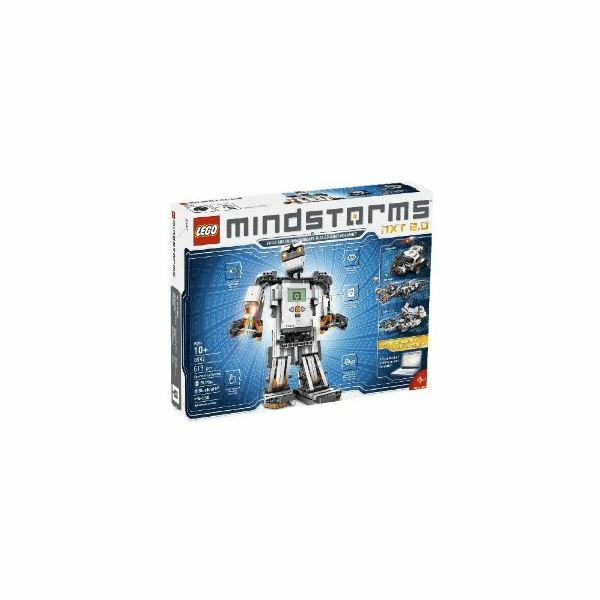 LEGO Mindstorms NXT allows you to program simple robots that are educational toys and elementary examples of robotics concepts. You can do your programming tasks with its Microsoft .NET user interface more efficiently using these LEGO Mindstorms tricks and tips. Before you start programming your LEGO robots, you should first make sure that you have installed the necessary hardware and software properly. There is a section in the Constructopedia, which is the manual included in the LEGO kit, that deals with proper installation of the software. Read it thoroughly before attempting to install the software. An Internet connection is required to download software in case you still do not have them. Some experience in programming will be helpful so be sure to read up on some basic programming concepts. The software’s editor may seem responsive as it shows you the shadow of the block you are moving on the area where you are about to move it into, but you actually have to wait for it to make room for the block. Dropping the block before room is made between already placed blocks can make you lose the block to be dropped because the software carries an assumption of where it thinks you are dropping it as opposed to where you actually want it. So the first thing you need to remember when you are using this application is to be patient and wait for that space to clear up before you drop your block. Working on your LEGO Mindstorms projects in this application can make you lose track of the time and you can easily forget to save your progress. The worst thing that could happen is you have made a lot of edits when the power goes out or your computer suddenly crashes. Without saving your progress, you will lose it forever, causing you to start again with a very frustrated demeanor. This is why you should make it a practice to save your work often. The best way to do this is you save your work with every few changes you make. Saving your work in different file names is also a safe way to preserve your work at different stages just in case you want to go back to an earlier version of it without your latest changes or additions. This practice can also prove useful in other types of application on your computer. This element of the editor promotes easy learning of creating clean and efficient code. It makes blocks of code more readable and more useful since it encourages you to reuse code. There is however an issue of the editor displaying broken code but it still complies correctly. This may make learning for beginners a little more difficult, but generally, it will not greatly affect the whole coding process. Working with variables in the editor is just the same as working with variables in other types of programming languages. However, using strings in the editor is usually more efficient since it handles strings better than your regular text variables. If you are used to working with text variables in programming, you might find this little tip unusual, but that is how the editor is designed and you will eventually get used to it. The performance of the application suffers if you work on several sequences at a time, so try to work on a single sequence at a time. The ideal workflow in this application is a linear one so avoid splitting a sequence when you can and hold it off until the very last possible moment. This could speed up your programming time and it can minimize the amount of errors and the chance of things going awry. You will find yourself needing to use the same blocks over and over again for different parts of your code and it can be very time-consuming if you use new versions of the same block from the pallet whenever you need them. You can work around this by using pushing and holding the CTRL key as you drag an already placed blocked to clone it. This will save you a lot of time especially if you are using certain blocks several times in a particular project. LEGO Mindstorms tricks and tips can only do so much in making your work flow easier, faster and more efficient. You can find more ways in doing things better with this robot building kit by using the application frequently. This will allow you to discover what practices work for you and what does not. You can determine your own best practices the more you use the program.